Before you decide to buy a property for the first time it is wise to do some research to ensure that you fully understand what you are committing yourself to. The complete process can be stressful, even more so if you do not appoint the right advisers to assist you. We at Harrison’s Solicitors will be with you every step of the conveyancing process; keeping you informed and avoiding jargon that can sometimes unnecessarily confuse people. By keeping you in the loop throughout we are certain that your conveyancing transaction will run smoothly from start to finish. Visit our conveyancing page for more information about our conveyancing service. Conveyancing is the term that refers to ‘the legal process of transferring one’s property (the seller), to another (the buyer).’ We, at Harrison’s Solicitors, will assign a dedicated solicitor to be with you every step of the journey. 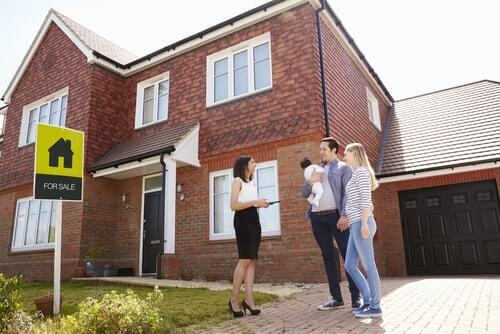 If you are a first-time buyer, find out more about buying a property with Harrison’s Solicitors. What’s involved with the conveyancing process and when does the process begin? Before you start to look for a property it is important to understand what you can afford. You may have money saved for a deposit. Most first-time buyers will need a mortgage, this is a loan from a lender (often a bank or building society) to be paid off over a period of time. At the end of this period, providing all loan repayments are made along with any interest charges, the mortgage will be repaid in full and the Lender’s charge removed from the title of the property meaning you wholly own your property. At Harrison’s, we advise that when buying a property, you should have your finances in place from the outset. Do not automatically go with the first lender you find or even the cheapest. Mortgage products change regularly and there could be hidden charges. With there being so many lenders available we would advise that you seek the advice of an independent financial adviser or mortgage broker to help you find the best mortgage to suit your needs. If you have an excellent credit score, many lenders will match your bank’s offer, or even try to persuade you with a better deal. Our advice is to always get a personalised mortgage illustration. This will highlight the important features of your mortgage. A mortgage loan is a huge commitment so, do your due diligence and do not sign up for anything you’ll regret. In most instances, a typical mortgage lasts for at least 25 years and is, therefore, a long-term commitment. It is therefore not something to be rushed into without a lot of careful consideration. With the finances in place, you can now start to search for your new home. After finding a property that you like and can afford you will need to make an offer to the seller, usually via the estate agent. Your offer is what you are prepared to pay the seller for the property. In our experience it is also a good time to highlight any conditions that your offer is dependent on, such as the inclusion of carpets and curtains in the sale price. It is also useful to remember that the estate agent is acting for the seller rather than for you as the buyer. It is sensible to get things put in writing, and if you are unsure of something speak with your solicitor. Our dedicated team of property solicitors can assist you with a preliminary title check should you wish. It is normal that this process is facilitated by an Estate Agent. However, with the growth of the internet, there are instances where the property is between a buyer and seller without an estate agent being involved. We have experience in completing conveyancing transactions in both scenarios. Once the seller accepts your offer, we would advise that you obtain a full structural survey to allow you to evaluate the property condition. The vendor is another term that can be used to describe the seller. Many mortgage lenders require you to use a surveyor that is approved by them or on a panel of survey providers. There are different types of surveys available and it can be prudent to get one that provides you with a good understanding of the property you are planning to buy. We will review any legal issues that the survey raises. Different surveys cover different levels of investigations and tests, including the structural condition and integrity of the property. The surveyor will not always look for signs of damp, subsidence or damage in the more basic surveys, so, therefore, we recommend a full structural survey. It is the solicitor’s responsibility to check with the local authority, water authority, drainage and environmental search providers to find out if the property is connected to mains water and drainage. We will also assess if there is any historic contamination, whether there are shared access points and who is responsible for them. The solicitor will also check the deeds for the rights/covenants and the boundaries to see if there are any disputes. Only when all of the above is acceptable can you buy your property. Exchange of contracts if the formal process where the solicitor of each the buyer and the seller formally exchange contracts at a certain time and date. When you have exchanged contracts for the property your deposit will pass to the seller and you are then unable to back out of the purchase of the property without losing a lot of money. Before contracts are exchanged the solicitors will ensure that a fixtures and fittings list is agreed by both parties. It is vital that this is in writing so that everybody’s expectations are managed and that there are no hidden surprises. It is important to understand that nobody is legally bound to complete the property transaction until the contracts are exchanged and deposits paid. This is when the buyer’s solicitor transfers the remaining balance of the money owed to the seller’s solicitor in return for the deeds and keys for the property. It is at this stage that the property becomes legally the buyer’s property. Sometimes a seller decides to sell their property to another buyer who has offered more money than you have. In effect the seller has gone back on the agreement made with the original buyer. Unfortunately, if this happens prior to exchange then there is nothing you can do about it. We do advise that once a seller has accepted your offer on their property you ask them to take the property off the market as part of your offer. This will significantly reduce the likelihood of another buyer submitting a higher offer, although it is not, unfortunately, a guarantee. Gazanging has increased in Reading recently, this is when the seller decides to withdraw from the property sale and stay there. The seller could decide to sell their home when the market price is more favourable. This is when they are likely to make more money by waiting a few months. We advise that you choose a solicitor who specialises in property law rather than a general practice. 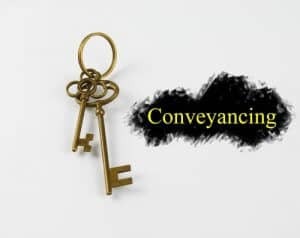 A specialist conveyancing solicitor will handle all the paperwork and documents as well as conduct the necessary searches and checks to satisfy both the Land Registry and any mortgage lender. In terms of budget, every circumstance is different but we recommend setting a budget of £1,500 to cover the legal fees for hiring a solicitor specialising in property law as well as the additional costs (known as disbursements). Choose a solicitor that is experienced with a proven track record. Reviews, testimonials and the number of years established are all good indicators. An established local practice like Harrison’s Solicitors can make the complete process run smoothly and ensure everything goes through as quickly as possible. It is normal to have lots of questions, especially if you are a first-time buyer. Our aim is to help make the complete process stress free by using our knowledge and exceptional communications skills. We aim to keep you fully informed by explaining matters in plain English. For further advice or for a free estimate please contact our expert conveyancing solicitors for further information.